With over 500 high-value projects in our portfolio, Cawley Architects is one of the most prolific architectural firms in Arizona. For more than 20 years, we have been applying our uniquely collaborative approach to project management in order to create buildings of superior form, function and value. During that time it has been our privilege to participate in some of the top commercial projects throughout the Valley along with an exceptional group of clients, contractors, and design professionals. We are knowledgeable in the specialized architectural requirements, technologies and trends of many building types. This includes: Industrial, Healthcare, Bioscience, Restaurant, Entertainment, Office, Commercial, Automotive, Manufacturing, Distribution, Aerospace, Retail and Tenant Improvement. From small neighborhood bistros to large biotech laboratories, we have the expertise, resources, and connections to serve your needs and execute your plan — and provide you with unsurpassed value. A native Arizonan, Sherman Cawley has practiced architecture in Phoenix for thirty-five years, primarily in the design-build commercial arena. Sherm graduated from Cornell University with a degree in architecture, and returned to Arizona in 1979. After perfecting his craft in a small design studio for 13 years, he founded Cawley Architects in 1994. By collaborating with many of the Valley’s foremost builders, Cawley Architects quickly became one of the premier design-build architectural firms in Arizona. Sherm is responsible for corporate management and client development and has designed hundreds of buildings, comprising millions of square feet of commercial and industrial space since the inception of the firm in 1994. 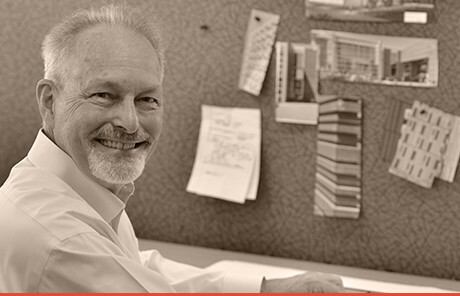 Among clients, Sherm is known for his optimistic outlook, attention to detail, and architectural leadership. 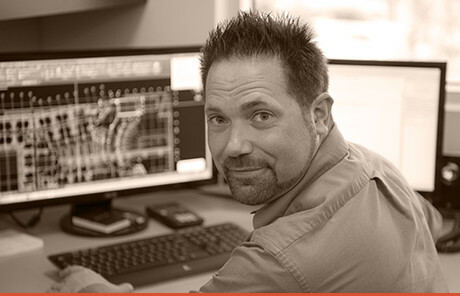 Paul Devers, Jr. is the Vice President of Cawley Architects and has been with the company since 1999. As the Design Director for the firm, he is actively involved with the management and development of the creative process and signature designs of the firm. In addition, he is active in the ongoing management of the company. 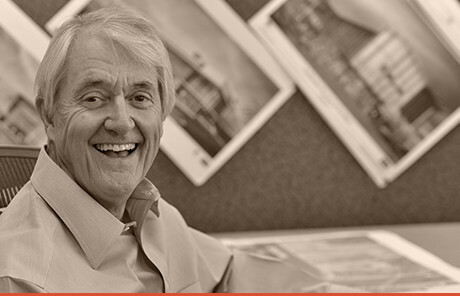 Mr. Devers received his Bachelors of Architecture from Texas Tech University in 1974 and currently holds professional registrations in Arizona, Texas, and New Mexico. He is also a member of the National Council of Registration Board. He has practiced as an Architect since 1977 and has lived in Phoenix since 1990. During his 40-year career, he has provided architectural services for a variety of project types including office, retail, industrial, banking, corporate, hospitality, medical, and high technologies ranging from renovations to multimillion-dollar facilities. Paul and his wife also enjoy traveling, including getting the most out of their second home in Rocky Point. Kevin Fawcett is a Project Director with Cawley Architects. He has 20 years of experience as an Architect in Arizona. Most recently he was the Director of Southwest Operations for a mid-sized architectural firm in Phoenix, where he was responsible for day to day operations and design. Kevin is a dedicated director, and excels in mentoring his staff. He received his Master of Architecture (Davis Scholarship) as well as a Bachelor of Science in Design from Arizona State University. Kevin has extensive experience in projects for the banking, healthcare, office, hospitality, retail and commercial arena’s. He has also contributed to improving the firm’s contract administration resources and procedures. Kevin is also an avid outdoorsman. He recently led a rim to rim hike through the Grand Canyon that required crossing the Colorado River in one man inflatable rafts. Rafael Macias is the Quality Assurance/Quality Control Director for the firm. His role is a cornerstone of the office’s services, insuring the coordination and confirmation of every drawing package the office produces. His role also includes maintaining and improving our documentation process, and includes all contract administration follow through. 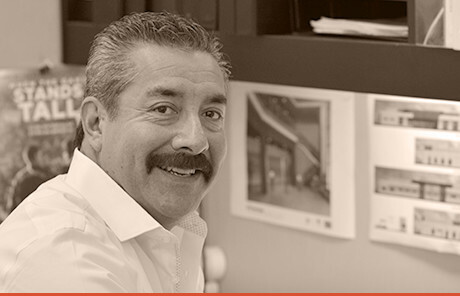 Rafael’s expertise includes more than 20 years of project management, construction administration, QA/QC review and business development in the Valley. His experience includes multi-family commercial high rise, office and medical condominiums and millions of square feet of commercial projects. On the weekends, Rafael can often be found taking his Harley Davidson out for a spin. 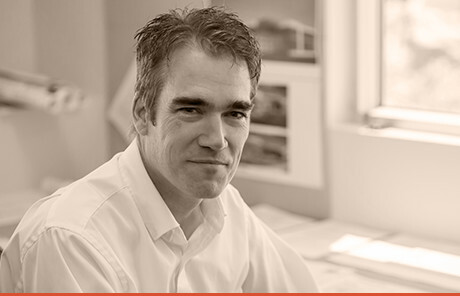 David Fulk is an Architectural Project Director at Cawley Architects. He is responsible for the design and documentation of projects focusing on collaboration with the clients, the construction team and governing municipalities. David received his Bachelor of Science in Design from Arizona State University and his Masters Degree of Architecture with Distinction from the University of New Mexico. 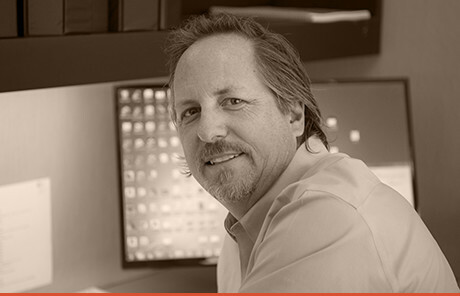 Prior to joining Cawley Architects, David was founder and principal of a boutique design firm located in Scottsdale working with Phoenix’s premier community developers. David’s design experience extends to Asia, South America, and Mexico. He has over 20 years of experience of project management and design, as well as extensive experience as a Principal and Senior Architectural Designer of civic, commercial, educational, recreational and residential projects. David is also a die-hard ASU fan, so you can catch him always cheering on the Sun Devils with his dog, Sparky. Immediately after joining Cawley Architects as our Accounting Manager in 2013, Lynette introduced us to new accounting software and project management procedures that have increased our efficiency and improved our production. As a long time member of the design community in Phoenix in various roles as a Finance Director, Controller and Office Manager, she is an invaluable resource to the Cawley team. Lynette hosts a Deltek Ajera Users Group (accounting software) here at Cawley Architects for the benefit of other design and engineering offices that share the same accounting and project management interests. She enjoys the Arizona sun and taking in a sporting event on her free time. RoseAnn Linsmeyer is Cawley Architects longest tenured Project Manager, and has over the years developed a following among our clients. Her career started with Cawley Architects in 2006 when she relocated to Arizona from Wisconsin after graduating from the University of Wisconsin at Stevens Point with a Bachelor of Arts in Interior Architecture. 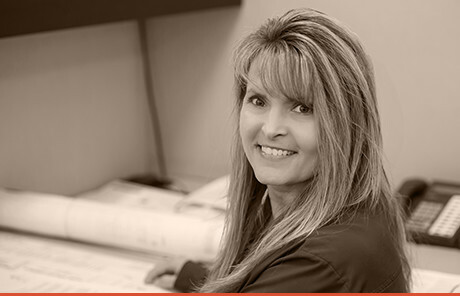 With her precise drawings and extensive coordination skills, RoseAnn has grown to be responsible for creating and coordinating the drawing packages for our largest and most complicated projects. She continues to grow in her capabilities, and has become the offices drawing package resource for the entire staff. On her free time RoseAnn enjoys baking goodies for the office, Packer football, camping and spending time with friends and family. Morgan Retzlaff is a Senior Project Manager with Cawley Architects and has been with the firm since March 2015. Morgan graduated from High-Tech Institute in Phoenix with an Associates of Science Degree in Computer-Aided Drafting and Construction Management in June 2004. He has almost 15 years experience in banking, healthcare, industrial, office, and retail projects. Morgan is also the firm’s CAD Manager and works closely with staff and management to maintain office standards and to keep the firm up to date with new CAD technologies. Outside of work, he enjoys spending time with his family and traveling as much as they can. As a Nebraska native, he also spends many Saturdays watching Husker football. Tisha joined Cawley Architects in November 2016. She has been a crucial asset to the office and has since then been promoted to Office Administrator. 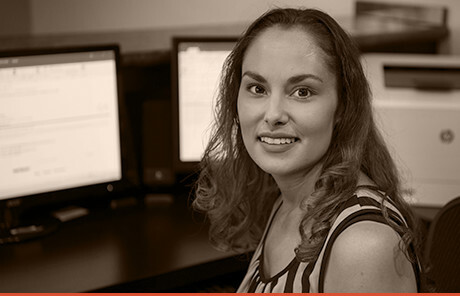 Tisha has had 10 years of experience as an office administrator and has proven herself to be a valuable asset. 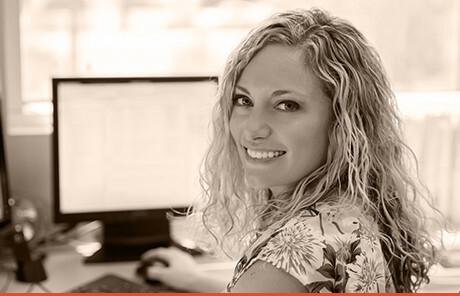 She is an integral part of the Finance team and ensures accurate project setup and billing. She greets every client and visitor to make them feel welcome when visiting and calling our office, manages meetings for the entire team, and keeps the office and team organized. On her weekends, she can be found spending time watching a football game and spending time with her family.